“Ok, Now, South Atlantic Blues” says the Captain. Then Nicky asked me to play “Where My Lover Has Gone” his dear departed Mudder dear’s favorite song. 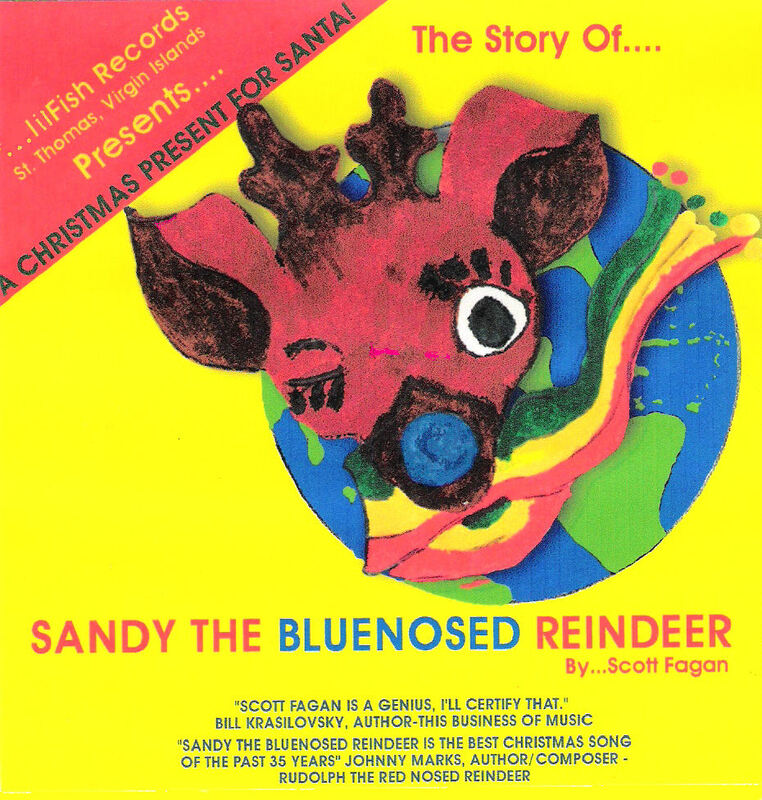 By Scott Fagan, produced by John Cornett, in Topanga Canyon, California. I hope you enjoy this as much as we did making it! It has been suggested that I bring the attached letters to your attention. Both were printed in the Virgin Islands Daily News (5/12/09 and 5/19/09 and The V.I. Source 5/10/09 and 5/16/09). I believe that the idea put forth in “Let’s Make The Virgin Islands a Gun Free Territory” and “Further to Let’s Make The Virgin Islands A Gun Free Territory” is do-able with your help, and would have an immensely positive and lasting effect on individuals, families and communities here at home, and in the perception of our Islands as a travel and business destination in the eyes of the world. I believe that together we can find the courage, the will and the way, to change the paradigm for guns and gun violence once and for all, in our (once peaceful, now pitifully violent) Virgin Islands. I know that many of the Virgin Islanders that I admire most, will object to my suggestions, however, many of those very people are no longer living in the Virgin Islands precisely because the ever-growing levels of gun violence creates the perception if not the fact, that the Virgin Islands are no longer safe for their families and themselves. If after looking at the abject failure of the individual states and the nation at large to successfully eliminate or even minimize gun violence via registration and waiting periods you have a better idea, the time to suggest it may be now. “Let’s Make the Virgin Islands a Gun Free Territory” Part 1. The Virgin Islands is a territory of the United States of America; this unique relationship gives us the freedom to take a stand within the United States, and beyond if necessary, to demand that our home, these beautiful Virgin Islands, be designated, recognized and supported as a gun free territory. Arguments that gun lobbyists use in the states have no validity here…Virgin Islanders don’t need guns to defend themselves against invaders. Rest assured that if anyone tries to take away their hard-won freedom, Virgin Islanders will meet them and defeat them. We don’t need to have our beautiful Islands, our families and our society racked, riddled and torn apart by gun violence, in anticipation of that “someday” when an invader may arrive on our shores. Virgin Islanders defended themselves and won their freedom without guns before, and if necessary, will do it again. Gun lobbyists who would argue for a “so called” right to hunt in the Virgin Islands, are out of step, particularly when you consider the game. What shall we hunt? Sparrows? Trushie? Mongoose or Iguana? The sad little deer? Tragically, in the modern-day Virgin Islands, the primary prey is human beings, young men hunting young men, our young men, our children. Virgin Islanders know that if you let children play with dangerous things (and guns are dangerous things and the people playing with them are our children) sooner or later, they will hurt themselves or others. We know that. We also know that ultimately, no one, not the United States or anyone else, should have the right to force us to have guns in our territory, if we the people have decided that we don’t want them. What will it take for us to make our territory gun free? Our absolute commitment to stand together to make it so…that is all my friends, that is all. Let’s get started and let our community leaders, our Senators, our Governor, The United States Congress, our President and the whole world know, that the people of the Virgin Islands have decided. From this point forward, we intend to be a gun free territory. Let us reject any philosophy that would force or impose guns on our society and be united in our commitment that “no matter what it takes”, our Virgin Islands could be, should be and will be, free of guns and gun violence. Let’s make the Virgin Islands a gun free Territory, and let’s get started right now! I’ve read with interest the recent dismissive responses to my suggestion that Virgin Islanders join together to “Make The Virgin Islands A Gun Free Territory” I would point out that the gun violence that we are experiencing has little to do with the registration of fire arms, and that we have no interest in denying anyone their constitutional rights. The fact and reality is that young men in the Virgin Islands are involved in a classic turf war and arms race, and that unscrupulous people are willing and eager to sell these young men new and ever more murderous weapons, guaranteed to further escalate the conflict and the casualties. All concerned citizens of our community want and need to find a way to put an end to it. The question is how? The interesting suggestion that I have offered, is that “we the people” make (by voting on it of course) our Virgin Islands, a nationally and internationally recognized “gun free territory”. I know that my suggestion sounds like blasphemy to some statesiders who are not accustomed to viewing the Virgin Islands as having quite a separate history and cultural orientation from the US, and may further, be unaware that The Virgin Islands did NOT participate in drafting or ratifying the US Constitution. Overall a fine document, but one that has repeatedly (27 times to date) demonstrated the need for corrections or amendments. Consequently, Virgin Islanders have no reason to feel inextricably bound to articles or amendments that (while exalted as a right by some people in the states) may be wrong for us.. Particularly considering how murderously destructive firearms have become to OUR culture and OUR community. That is why my letter “Let’s Make the Virgin Islands a Gun Free Territory” begins with the reminder that we are a territory, in a somewhat unique position. We were bought and sold in a political transaction between two sovereign nations “lock, stock and population” against the protest of many Danes and without the benefit of a legally recognized majority vote, by the general population of the Virgin Islands. Consequently, we may have a certain moral leverage (even if only in pathetically obvious questions such as “must we allow the United States or anyone else to insist that our Islands be flooded with firearms, even if we don’t want them?”) a moral leverage that I believe our current President and the world at large is likely to recognize and support. Yes I realize that reasonable people in dangerous times would like to have a defensive weapon available. Yes I understand that our peace officers and Judges will have to do a much better job of protecting us all. Yes I know it will be quite difficult to clear our Islands of the arsenals of weapons. And most importantly, Yes, we are all afraid. But Virgin Islanders have sufficient courage to stand together in the face of adversity to bring the end to the gun violence that we so desperately want, need and deserve. All Virgin Islanders want a Virgin Islands in which the current crazy universal access to guns and ever escalating gun violence is a thing of the past. We are not talking about disarming the police or the National Guard, we are talking about voting to outlaw the manufacture, Importation, sale, distribution and use of firearms among the general public. What a positive and inspiring effect our declaring the beautiful Virgin Islands “A Gun Free Territory” would have on businesses and potential travelers all over the world, not to mention our own children and community. What a negative impression the current reports of our ever escalating gun violence make. One extraordinary way for Virgin Islanders to shape our own destiny and accomplish our very own quite improbable dream this year, is to take a stand to “Make the Virgin Islands a Gun Free Territory” starting right now. We can do it..yes we can. Warmest Wishes to you my friends, from my family and lilfishrecords, St. Thomas, Virgin Islands…and the BEST NEW YEAR EVER!! !